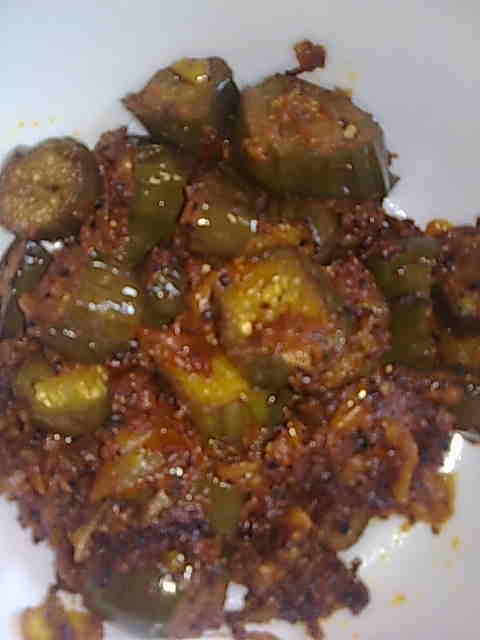 This recipe of achari baingan uses baingan without deep frying them. This is a healthier version of traditional achari baigan. Achari means using spices which are used in pickling. This recipe uses 5 exotic spices which are also called 'Panch Phoran'. I am a fan of baingan or eggplant so I try new recipes to cook it in a tastier way and this is one recipe which I recommend for all baingan lovers. 1. Cut baingan in thick pieces. Heat mustard oil to smoking point in a pan. 2. Add kalonji, cumin seeds, mustard seeds, methi dana and saunf. When they change color, add onion. Sauté onion till light brown. 3. Add ginger- garlic paste and sauté for 1 minute. 4. Add tomatoes. Add turmeric, coriander and red chilli powders and salt. Cook covered till tomatoes turn soft and pulpy. 5. Add baingan pieces and mix well. Cook covered for 10 minutes on medium heat. Serve hot achari baingan with roti, paratha or steamed rice.